Successfully Added Jinhan A81 Rugged Cell Phone - Waterproof, Dust Proof, Shockproof (Black) to your Shopping Cart. Rugged Cell Phone is Waterproof, Dust Proof as well as Shockproof meaning you can take it anywhere and not need to worry about the conditions you are heading into. Rugged in appearance and practical in design, this is the Jinhan A81 cell phone that is now available at Chinavasion for a great wholesale price. First thing you will notice is the rubber exterior, which is guarantee to give this phone a waterproof and dust proof ingress protection rating of 67. 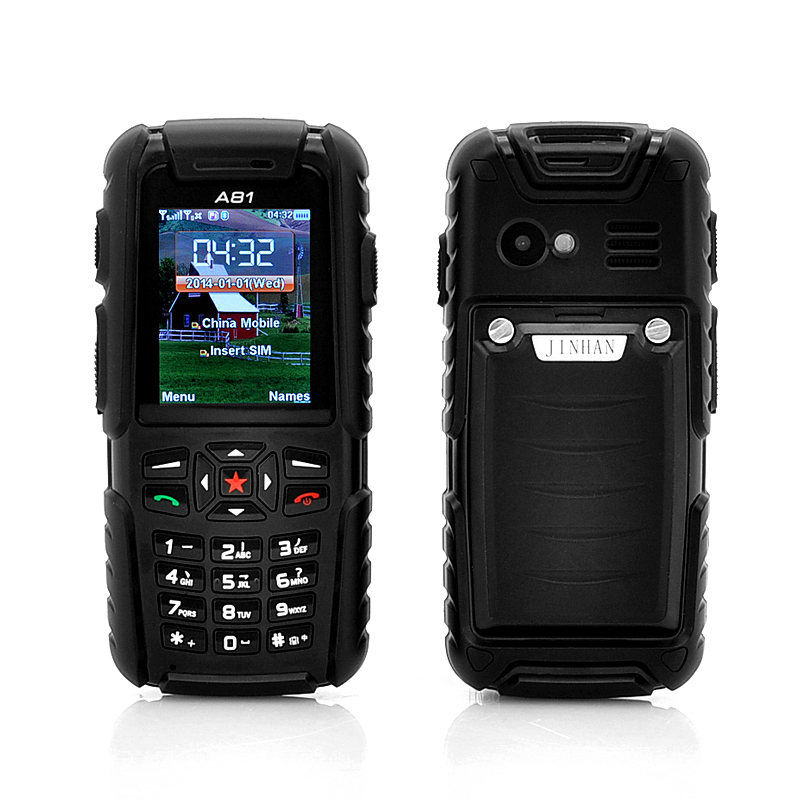 An IP67 rating means that the Jinhan A81 rugged phone is completely protected against dust as well as being able to survive getting a few splashes and being submerged into water making it perfect for any extreme individuals that like to test Mother Nature. Not only is it waterproof and dust proof but the Jinhan A81 rugged phone is tough enough to survive a drop of up to 2 meters. The front panel has a simple to use keys and the 2 inch screen will display all your contacts, texts messages and other menus clearly. There is a built-in camera to capture photos for which you can save internally on the phone or via a micro SD card as this phone has a suitable micro SD slot. Making this phone even more sensible for outdoor use, the Jinhan A81 phone comes with a dynamic charger meaning you can charge your phone without needing electricity, just plug in the dynamic charger and use hand power to start charging your phone. 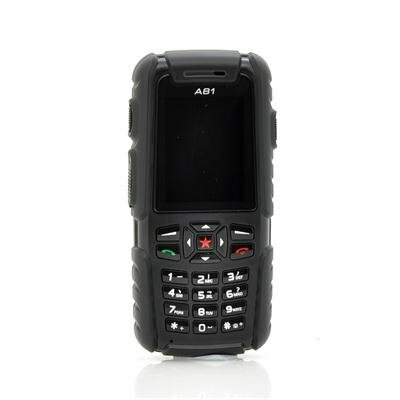 This Jinhan A81 cell phone is now in stock now, we guarantee next working day shipping and offer a 12 months warranty on all our products. Brought to you by the leader in electronic devices and cell phones, Chinavasion.